Unfulfilled potential and distracting headlines were Seattle's major downfalls this season. This was the first time in the past three seasons that the Seahawks did not go to the Super Bowl. This year's team was wildly talented, but unfortunately, some of their top stars did not make the same impact they have in the past to propel a run in the postseason. A couple of these players made my "Overrated Players" list, alongside some storylines that were circulated throughout the season. Some analytics I use to make my case include Pro Football Focus, who grade each player zero to 100 and rank them by position based on how they perform during a given play, not just the outcomes of those plays. 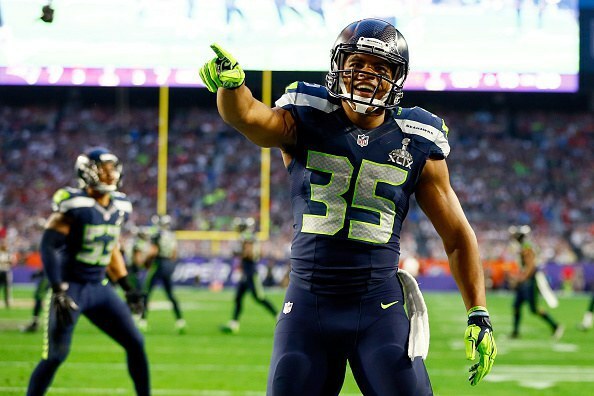 You can also check out my list of underrated Seahawks here. According to advanced stats and Pro Football Focus (PFF), Richard Sherman had a season that matches the lofty expectations he set for himself by ranking as the third best cornerback in the league. While his coverage skills are as sticky as ever, he did not provide the amount of game-changing plays that people are accustomed to seeing, setting a career low in interceptions (two) and failing to force a single fumble this season. 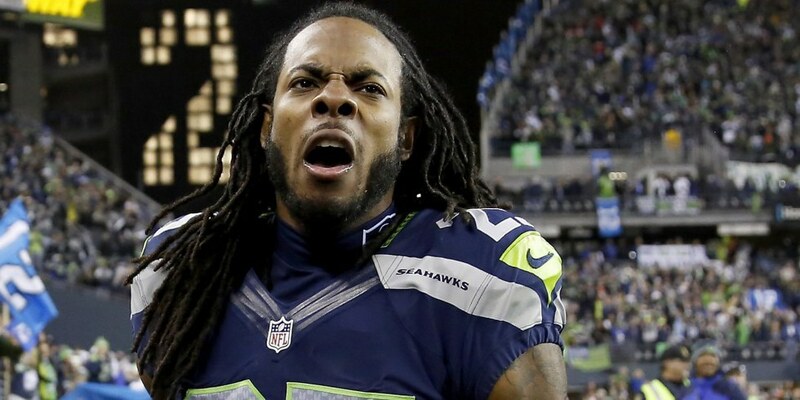 He was also unusually burned in some big moments this season, times where Sherman usually rises to the moment. One play in particular comes to mind: in Seattle’s home game against division rival Arizona Cardinals, Cardinals' quarterback, Carson Palmer, dropped back and threw deep to the back right corner of the end zone, trying to take advantage of the one-on-one coverage that Sherman had on Michael Floyd. This is the type of play Richard normally feasts on, regularly getting pass breakups or interceptions as he possesses both great closing speed and ball skills. Instead, Sherman not only is beat by a step by Michael Floyd, but loses the ball in the air, allowing an easy touchdown to the Cardinals. Even though Sherman still made many plays in helping the Seahawks in victories this season, it was his slight fall from near perfection that allowed plays like these to slip through and hurt the team. 5 & 6. Deshawn Shead (top) and Jeremy Lane (bottom), Cornerbacks. I paired these two together because they shared the unenviable role of playing opposite Richard Sherman as the team’s number-two corners. The Seattle defense is set up so that each player has a specific role, and they stick to that role. This is especially true of the cornerback position, as they never stray from their sides of the field. This allows opposing offenses to place their best wide receiver on the left side, opposite of Sherman. Ideally, this works well in the mind of the Seahawks, letting Richard Sherman shut down whatever wide receiver the other team sticks on him and hoping the number-two and number-three corners can make plays on the other parts of the field. Seattle initially signed Cary Williams to play this spot, with the idea that his experience would allow him to play this part well. That ended up not being the case, as Williams was repeatedly burned and promptly released. This forced the Seahawks to turn to their reserves, placing backup safety Deshawn Shead as the starting corner. While he played harder and generally improved the spot from Williams, his limited athletic ability and inexperience only netted him as a marginally better corner than Williams, placing 94th out of 113 qualifying quarterbacks to Williams’ 97th finish. Williams was benched in week seven, allowing Shead to be exposed by the high-flying offenses of Arizona and Pittsburgh, two of the biggest losses of the season. But a week 14 return to the starting lineup by Jeremy Lane freed Shead to step down to the less-prominent nickelback role. According to advanced metrics, the return of Lane provided a marked improvement over both Shead and Williams, as PFF ranked him the 51st best cornerback in the NFL. But just because there was an improvement doesn’t mean it solved the problem. Unlike Shead and Williams -- who at times were forced to play across from the likes of Larry Fitzgerald, Antonio Brown, Calvin Johnson, and Golden Tate -- Lane’s toughest assignment across his four starts was a Larry Fitzgerald playing for an unmotivated Arizona team and Kamar Aiken of the Baltimore Ravens. By not playing the elite competition, Lane’s numbers could have been influenced by the level of competition he faced more than the actual skill he produced on the field, leaving Seattle’s number-two corner position a mystery heading into the 2016 season. Bobby Wagner was both elected to the pro bowl and voted the AP All-Pro second team this year. However, he makes an appearance on this list because, based on both his stats and analytics, he took a noticeable step back from a year ago, when his play warranted an MVP vote, even after missing five games. He only recorded 10 more tackles than last year, playing four more games, a decline in per game average of 9.5 to 7.6. He also lost out in the team lead for the same stat, edged out by K.J. Wright by two, 116 to 114. This was not the only time that K.J. 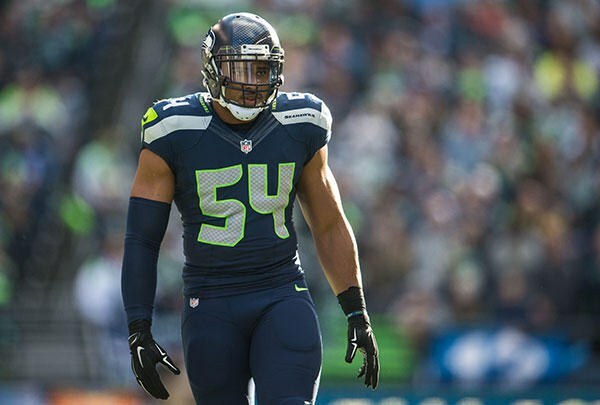 was listed ahead of him this season, as Wagner was listed by Pro Football Focus as the 30th ranked linebacker, 24 positions lower than Wright (sixth) and 15 lower than Seattle’s other starting linebacker Bruce Irvin (15th). PFF specifically knocked him on his pass coverage abilities, ranking him as replacement level in this category. Bobby Wagner’s poor pass coverage abilities this season was one of the reasons Seattle was ripped by some of the game’s more premiere tight ends, such as Greg Olson (131 yards, one TD) and Tyler Eifert (90 yards, two TDs). Even with his struggles this season, Wagner is a terrific linebacker, and it would be easy to predict a bounce back to his normally elite status next season. 3. Resurgence of the offensive line. If you listened closely to broadcasters in the latter part of the season, you know they mentioned the improvement of the offensive line. This is true to a point, as before a week 11 insertion of Patrick Lewis into the offensive line, Seattle gave up 32 sacks in nine games, an average of 3.6 per game. Over the next seven weeks with Lewis in the line-up, the Seahawks gave up 13 sacks and only 1.86 per game. These stats do not take into account that the first 10 weeks of the season, Seattle faced teams ranking in the top half of the league in number of sacks six times. In those final seven, they only faced three such teams. In two of those games, the Seahawks blew out their opponents, taking away the opportunity of must-pass situations by the Seahawks and protecting the offensive line from the other team’s pass rush. Besides the level of competition, PFF ranks Patrick Lewis 25th out of 39 qualifying centers, one spot below the man he replaced, Drew Nowak (24th). There were also multiple bad snaps in the games that Lewis played in, tossing the ball badly back to Russell Wilson at inopportune times. It also did not help that Lewis was placed in between the 64th and 75th ranked guards in the league, J.R. Sweezy and Justin Britt. The tackles were not much better, with Russell Okung ranking 33rd and Gary Gilliam ranking 68th. In the end, the offensive line was not good all season, and it could be argued it was only the brilliance of Russell Wilson that really solved Seattle’s offensive woes in the second half of the season. Out of everybody on this list, this name pains me the most. 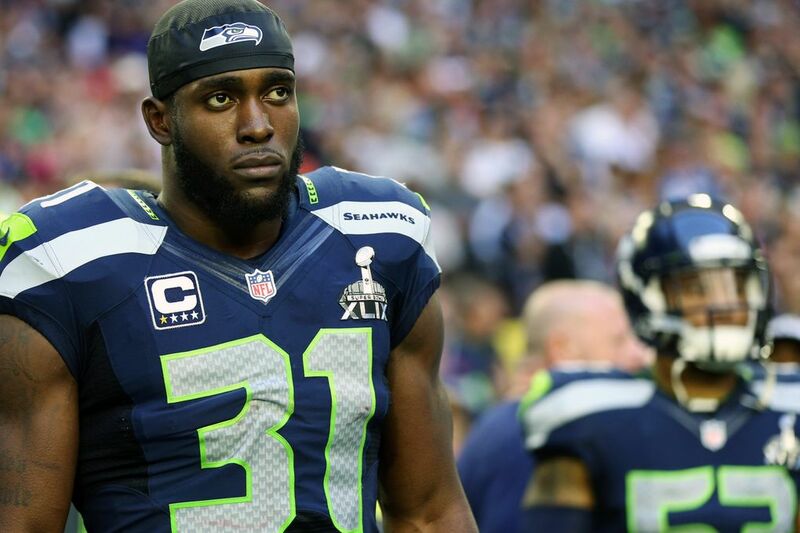 Kam Chancellor has been a rock in the Seattle backfield for the past three seasons, delivering the hits that inspired the nickname "The Legion of Boom." But it was a rocky start this season, as Chancellor held out and was a part of the Seattle’s 0-2 start. When he returned, he was noticeably out of sorts and proved a liability in coverage against tight ends. Despite making a couple big plays this season -- forcing Calvin Johnson’s fumble at the goal line and forcing an Adrian Peterson fumble in the wild card round of playoffs -- he still directly caused the loss in week five to Cincinnati with the inability to cover Tyler Eifert on the final drive of the game. This same instance nearly happened again in the wild card round, with Kyle Rudolph burning Kam on two huge pass plays to bring the Vikings into field goal range with less than a minute remaining in the game. If it wasn’t for the shank by Blair Walsh, Seattle would not have competed in the divisional round game. These types of moments in big spots came to define Chancellor’s season with mixed results. He teamed with Bobby Wagner to create Seattle’s biggest weakness, covering the middle of the field. 1. Seattle's number-one-ranked scoring defense. 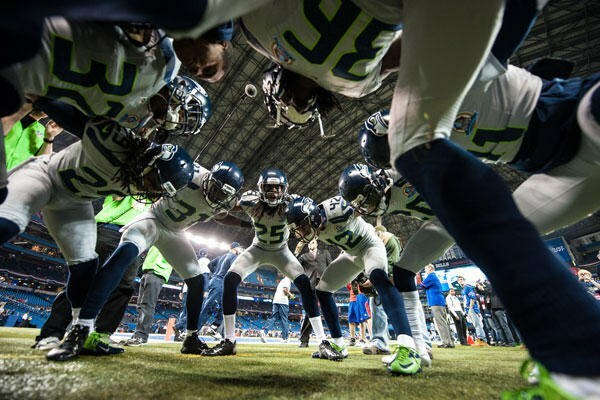 The Seattle Seahawks finished the year ranked number one in average points allowed, a measly 17.3 points per game. It marked the fourth straight year that Seattle led the league in this category. As great as it sounds, it is a very superficial stat. 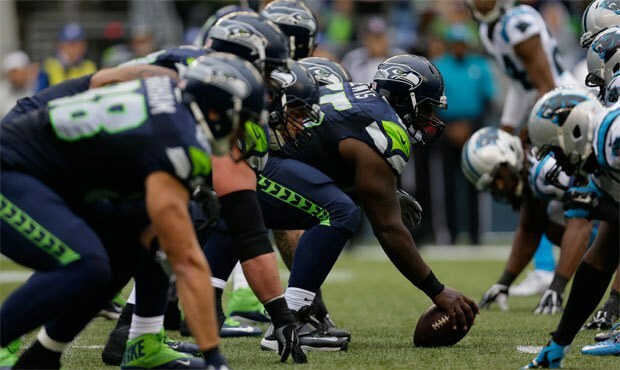 Breaking down the Seattle schedule will reveal that there was a great discrepancy in the teams the Seahawks faced, especially the starting quarterbacks that headed those teams. Nine of the teams Seattle lined up against had losing records and quarterbacks that averaged 32nd place out 38 qualifying quarterbacks, or didn't play enough to receive a ranking, according to PFF. This group included names such as Colin Kaepernick, Matt Cassel, Johnny Manziel, and Jimmy Clausen (twice). In those games, Seattle allowed 11.7 points per game. In contrast, when Seattle played quarterbacks on teams with a winning record, they allowed an average of 23.3 points per game. To narrow the category even further, Seattle played six games against quarterbacks rated in the top 13 QBs by PFF and gave up an average of 26.2 points. The numbers show that when Seattle faces anyone that is considered to be in that elite tier, Seattle’s defense becomes very average. When you watch these games, you see quarterbacks such as Ben Roethlisberger and Cam Newton regularly moving the ball up and down field, something that Seattle fans did not see the past two seasons. 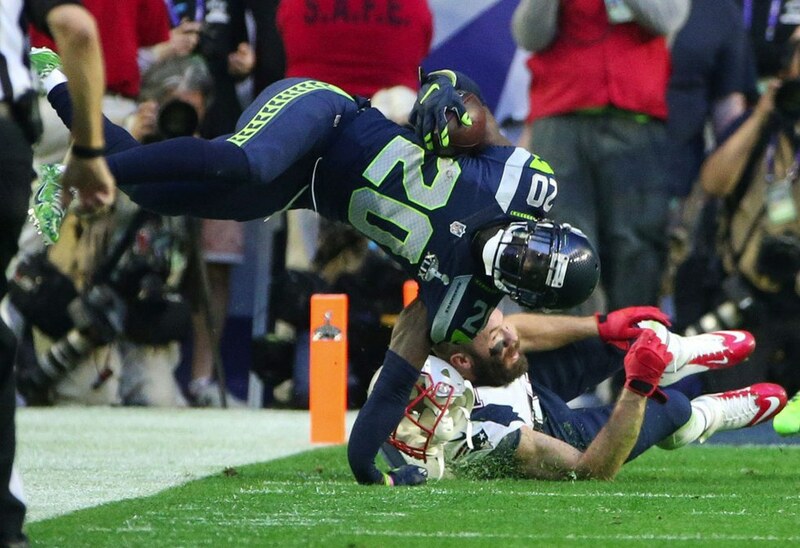 This proved to be a major reason why the Seattle Seahawks did not reach the Super Bowl 50. There's definitely a trend here, considering six of these rankings were on the defensive side of the ball and three of them were in the defensive backfield. Seattle's identity for the past three years has been defense, and that reputation followed them into this season where they did not reach the same level that they have been on in the past. This is the first year in the Pete Carroll era where you can say the offense outplayed the defense. Here's to hoping for an improvement next season.